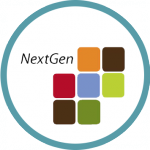 Harris School Solutions is proud to announce that Hardee County Schools in Wauchula, Florida, is now running NextGen Employee Self Service (ESS)-Lite! We are confident NextGen ESS-Lite will enable their district to provide faster, more efficient service to employees while dramatically reducing the burden on Human Resources and Payroll departments. Information such as demographics, leave balance, current deductions, ACH setup, check & W2 viewing are easily accessible to employees.